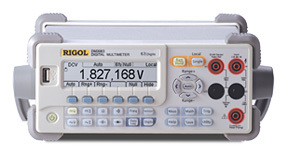 These Dynamic Signal Analysis Kits include all you need to test, emulate, and evaluate dynamic signals including a scope for time domain measurements and an arbitrary waveform generator for creating, emulating, and testing the limits of a system�s signal requirements. 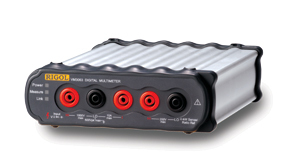 Transfer signals from the scope to the generator on a USB stick or upgrade to one of our stand-alone Signal Analysis kits and perform the acquisition, emulation, and modulation automatically. With package 2 or 3, direct connect these units using a standard USB cable, then capture a signal with the scope, automatically load that wave as an arb in the generator and play it back while adjusting the amplitude and frequency. This is a great way to test signal integrity tolerances for your receiving circuitry as well as conduct failure analysis by isolating different signals in a system. These series of instruments can capture signals up to 300 MHz and playback signals up to 350 MHz. All models in the DS1000CA scope series can be used in this way with the DG2041A and use DS100B series scopes with the DG5000 Series generators.